‘Project Paridhi’ a flagship project of SPACE, to popularize hands on science, was conducted in K.R Mangalam World School, Pocket 5, Greater Noida on 26th September, 2017. Students of classes VI-VIII participated in the Event and performed the experiment. They skillfully took the readings and recorded their observations. The workshop ended with the calculations done by the students. The main agenda of this project was to find out the circumference of the Earth by taking measurements of the shadows made by the sun in a day, as done 3000 years back by astronomer Eratosthenes, who was able to measure it within 2% of the present accepted value. This project was initiated with the intention to increase awareness that science can be done without any complicated equipment. KRM believes that science can be best learnt by doing. ‘Project Paridhi’ is a science experimentation project by SPACE to popularize hands on science. 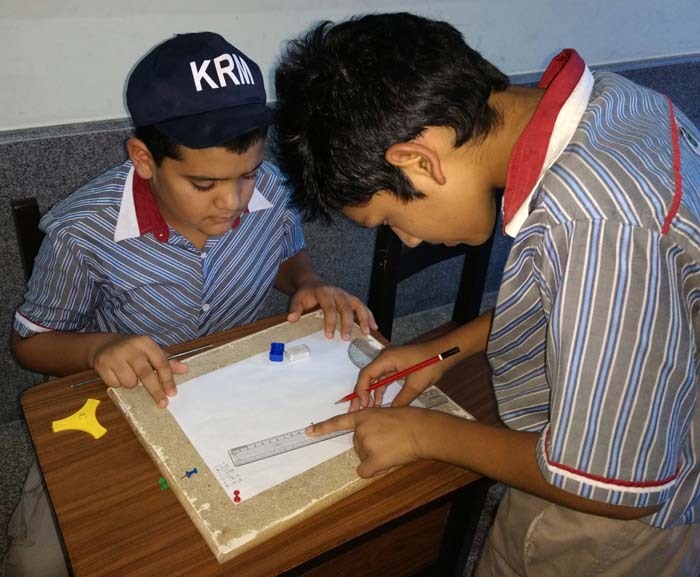 Participants learnt basic concepts of science in a fun way with hands on science and use geometry and trigonometry. 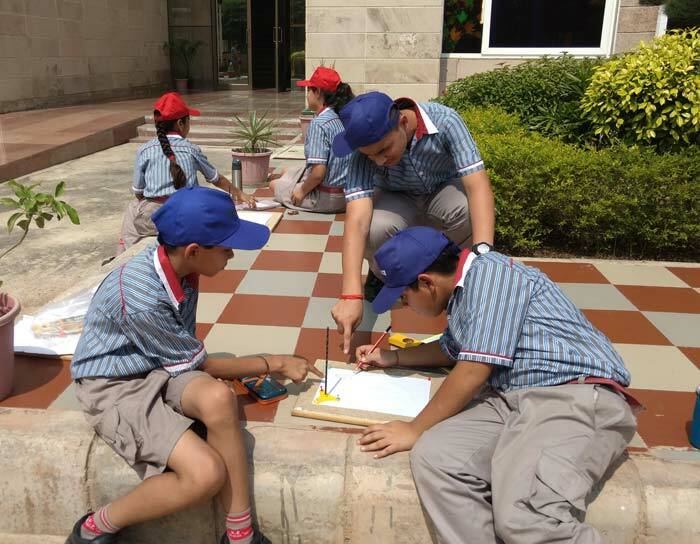 In this hands on science activity students got involved in measuring the length of shadows cast by a vertical object (gnomon) as cast by the sun, to determine the local noon. Simple trigonometry leads to the calculation of the circumference using the measured sun angle. The activity replicates that was done by Eratosthenes. It is typically conducted on days of Equinoxes and Solstices.